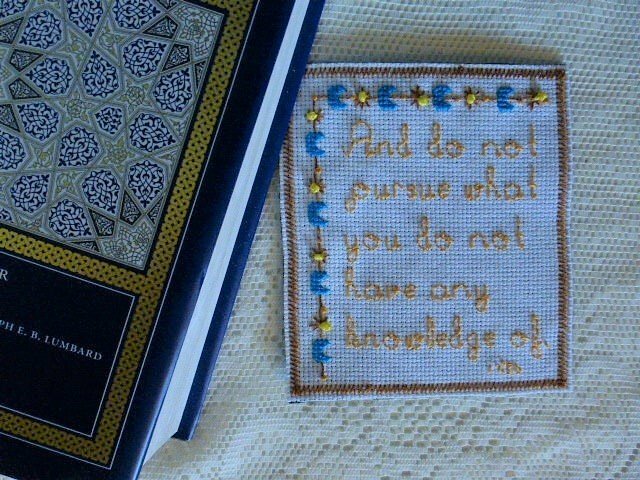 In Surah al-Isra (17:36), Allah, Al-Alim (The All-Knowing), instructs us to not pursue (la taqfu) what we have no knowledge of. We must not follow ideas, people, governments, etc., unless they are themselves following the Way of Allah, All Praises be to Him. The ayat continues to inform us that our eyes, ears and hearts will be questioned on the Day of Judgement and they will witness for and against us. So this means we must refrain from pursuing fraudulent things and activities and indecent people even by simply looking at, listening to and believing in them. We should not listen to nor carry rumours; submit to the enemy and tyrants; engage in blind obedience and bad habits; accept baseless interpretations and unfounded judgments; appraise, criticize and issue verdicts without prior knowledge; fall for the swearing and tears of others without reason; and carelessly follow our ancestors. We must follow the knowledge of those who pursue decisive, religious principles with logic and insight.